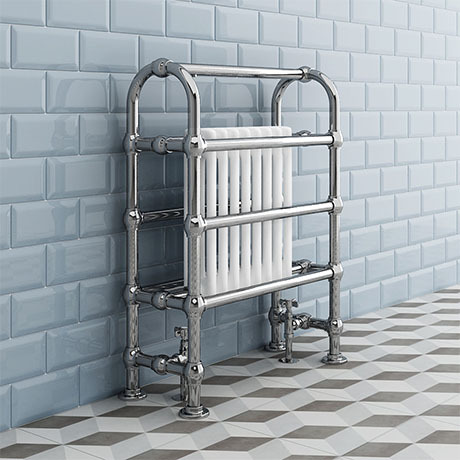 A stylish floor mounted traditional radiator, chrome plated with 8 x 3 column white period style radiator insert. Manufactured to the highest standards and constructed from strong polished chrome frame. Designed to complement our range of period bathroom sanitary ware and furniture. Features quality construction with great heat output, this versatile radiator is compatible with all domestic central heating systems. Supplied with fixing screws.